If you are watching too much of sports these days, you would have been fed with the whole haystack and most of you would be gagging badly by now. It has been an overdose of sports this month. I was watching worldcup football on Sonypix and during the halftime break, I changed channels to stay away from caferio and I landed up in DD Sports where the Indian football team was playing against Mozambique football team. The Indians won. The speed was different. The class was different. The strategy was different. It was a totally different league. It would take years for India to make a mark in the International scene in football. Last night Italy became the latest European team to be shown the door by a South American team in this year's world cup. One man who stood out was Pirlo. That guy is the Robert Downey Junior of the Italian football team. He has magic in his feet. The way his legs caresses the ball is a treat to watch. I will be missing him in action in the knock-out stages. 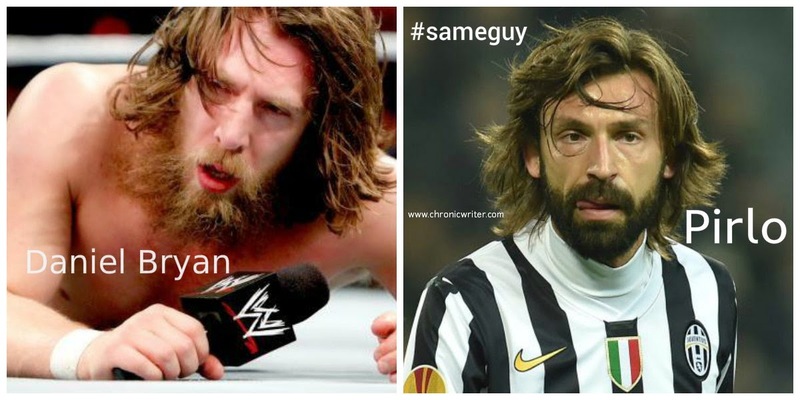 Pirlo reminds me of Daniel O Bryan from WWE. In Italy's match against Uruguay, Luiz Suarez stood between Italy and their world cup dream. He did a few mistakes too. In an attempt to be selfless, he made mockery of himself when he was all alone in the Italian box with only Buffon standing in front of him. Instead of shooting the ball into the goal, he tried to pass the ball and ended up looking like a joker. But the nasty act came when Suarez bit Girogio Chillieni. This is the third time Suarez has bit an opponent. The demon of Mike Tyson enters Suarez when ever he is hungry. 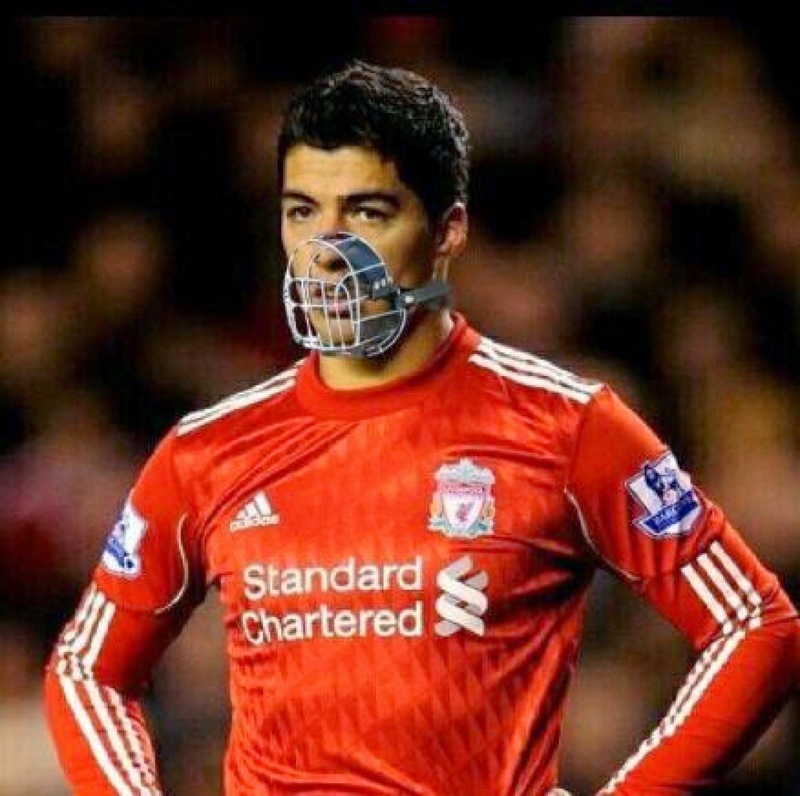 FIFA is contemplating whether masks like this should be provided to people like Suarez. When I played football at school level, I was the goal keeper for the Blue house. With my short stature, I found it very difficult to safeguard the net. But as I dived around like a monkey, our coach decided to make me the team goalie. During one of the Division matches, I ended up biting the Forward on his thighs. Three of them ganged up and punched me on my face. My swollen eyes were a testimonial reward for my biting prowess. That was also the last time I played football in my life. The Wimbledon Tennis matches are also happening in England. I used to be a die hard fan of Stefan Edberg. Then after two decades, I have started to like Fedexpress. I am hoping for Federer to rule the lawns this year. How ever gone were the days when I kept track of women singles. I was a fan of Navratilova,Sabatini and Seles. Now a days except for the Williams sisters and a few Russian known names, I don't even know who is in the circuit.